Our hotel near Avignon, in Villeneuve-Lez-Avignon, will seduce you with its seventies aspect with its contemporary and refined decoration. The panoramic terrace of our charming hotel offers a breathtaking view of Avignon, the Palais des Papes and Mont Ventoux. 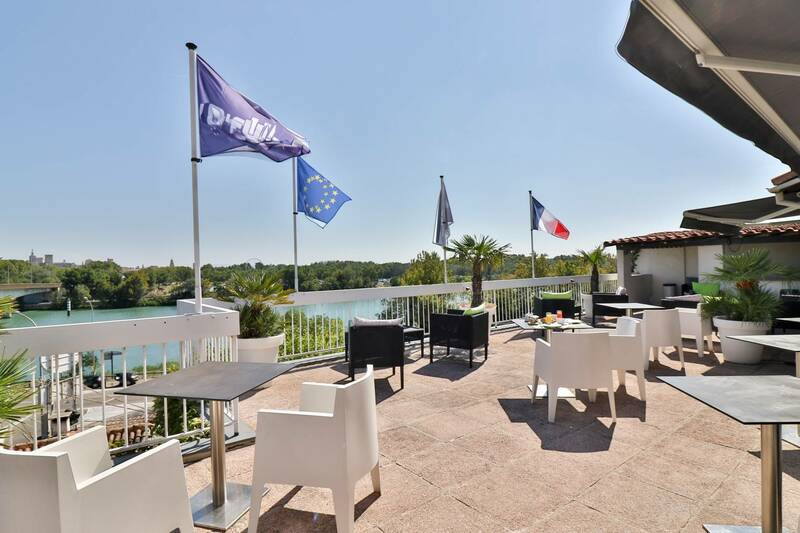 The establishment offers 23 air-conditioned and soundproofed rooms, true cocoons of elegance and serenity, some of which benefit from a private balcony, for a most pleasant stay near Avignon.